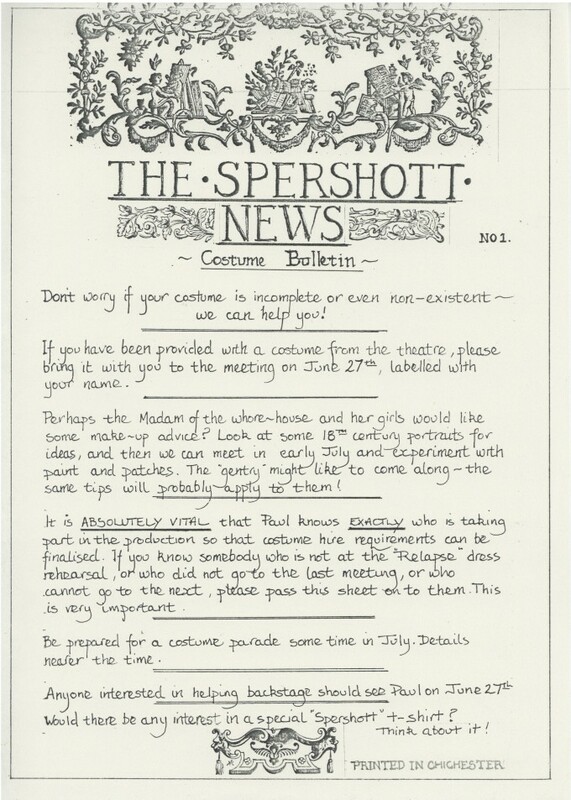 A bulletin sent out to cast members of The Spershott Version in the run up to a meeting relating to costume requirements and make up. 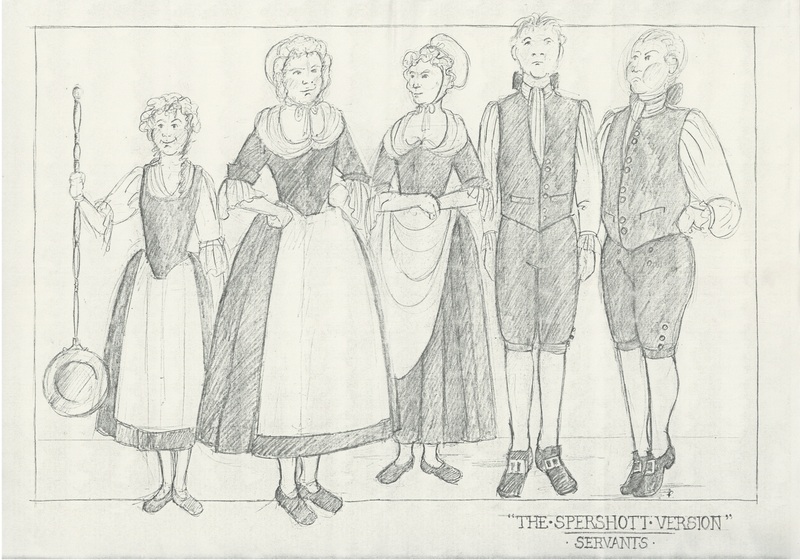 The Spershott Version was a promenade performance that traveled the streets of Chichester and drew on a large community cast. 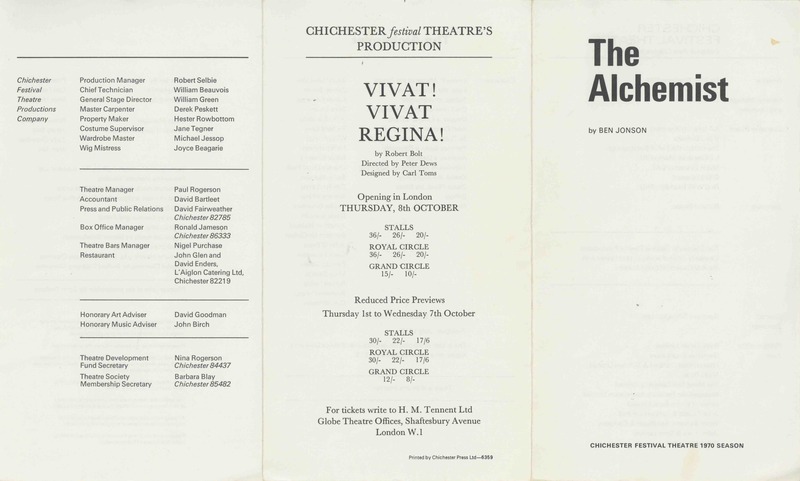 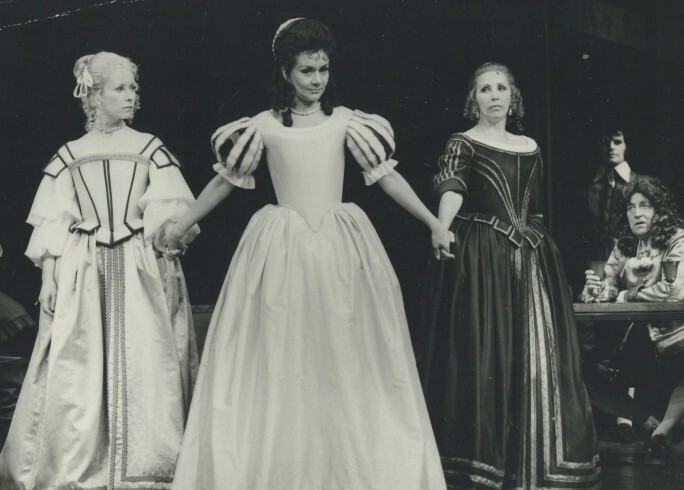 It was presented to celebrate the history of Chichester as part of the 25th festival season of Chichester Festival Theatre. 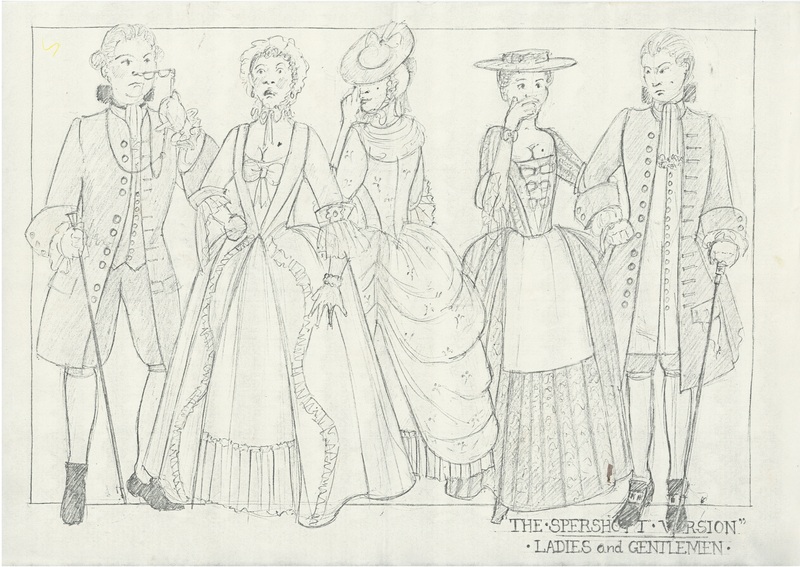 The play was based on the memoirs of James Spershott a joiner born in Chichester in the 18th Century. 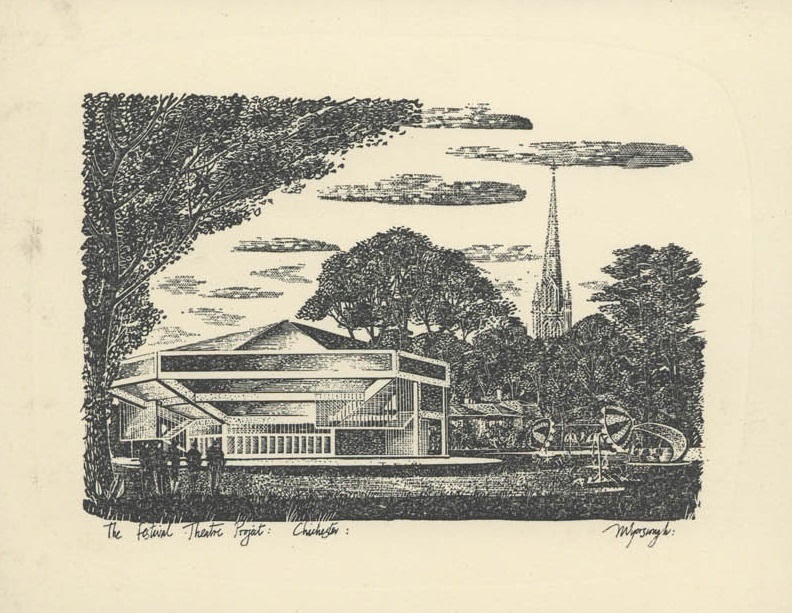 It featured stories on the Plague, John Keats, William Blake and much more.